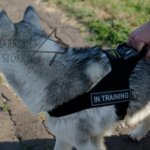 How to Choose the Best Equipment for Your Puppy? It's been two weeks since the repeated vaccination, and your pup can safely go for a walk. By this time you already have to acquire a collar or a harness and a leash. 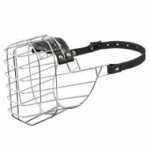 The collars are made of different materials: leather, imitation leather, nylon, synthetic fabric. Light-weighted nylon collar with a plastic buckle will be good for a little pupy: it doesn't feel the item, the collar is taken off and put on easily, it doesn't soak, can be washed easily and saves the pup's fur. As your puppy grows, you should change nylon collar to soft leather one: it is comfortable, durable and long-lasting. Do not choose a heavy collar with plenty of decorations. You better pick something convenient and durable. 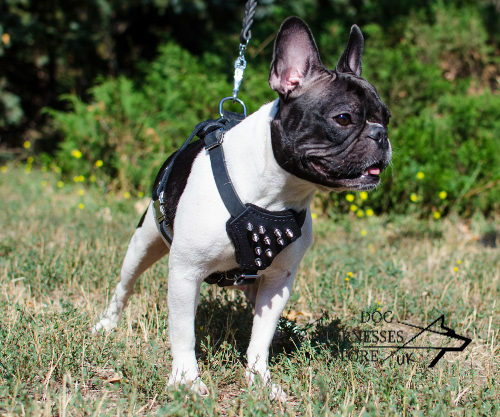 When it comes to grown-up dogs that is where you can let your fantasy go: double padded collars, collars with metallic decorations and strasses, with reflective elements, braided, carved, bright etc. 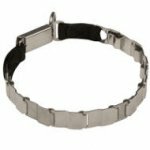 For a large dog, a firm, double-stitched collar with a solid D-ring will do. 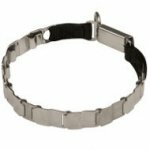 Use special choke collars for dog training. A chain collar looks good, but only short-haired dogs can wear it. 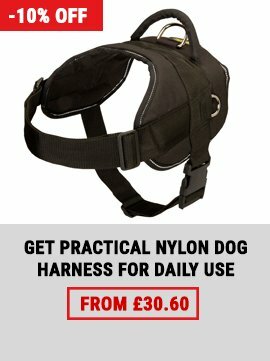 You can also use a dog harness instead of a dog collar. 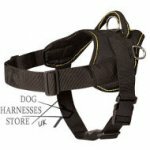 The harness enfolds not the dog's throat, but its chest. 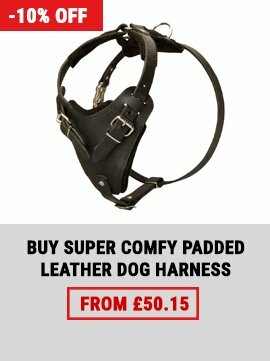 It is more comfortable and safer for your pup. 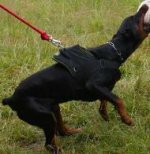 It practically cannot slip out of the harness, its throat and neck are not squeezed, especially when the pup is rushing ahead. 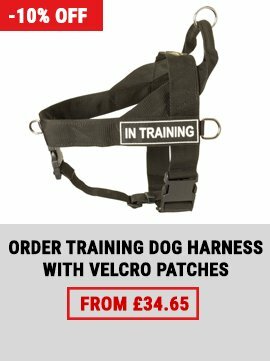 You can even lift the dog up by the harness, if necessary, and it will feel alright without the risk of choking. 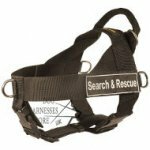 The requirements for the fabric of the harness are the same as for the collar. The dog leash must be made of the same material, be strong enough and convenient for the dog owner. The leash length must be enough for the pup to walk within the radius of ten meters. 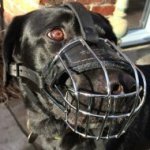 Do not save money buying dog equipment. The more expensive the item, the longer it is going to serve you. 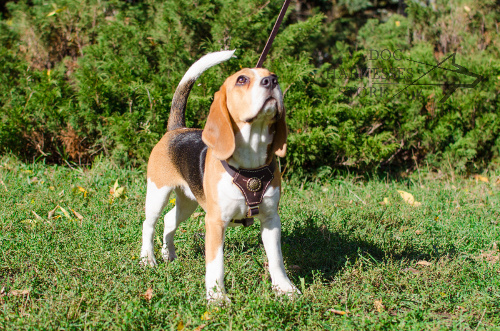 Choose the finest harnesses, collars and leashes in our online dog store! Learn also about the best puppy toys.